Without him naming them, it’s understood the department now intends to suspend the school’s principal and another teacher. 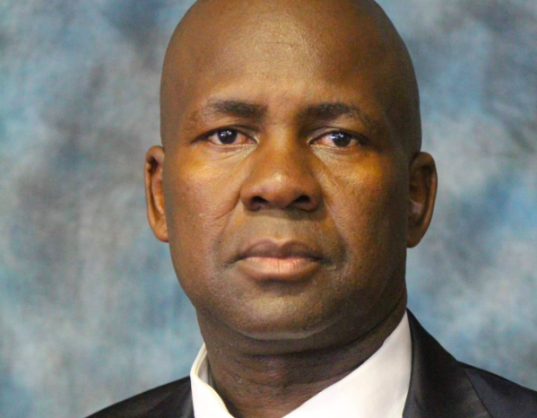 Two more people have been implicated in the Laerskool Schweizer-Reneke race debacle, North West education MEC Sello Lehari said on Wednesday. “A preliminary report implicated two people that we are to act on,” Lehari told reporters after a marathon meetings with affected parents and other stakeholders. He said the two people would be identified at a press briefing in Mahikeng on Thursday. The school made headlines after a photo emerged showing the racial segregation of pupils in a Grade R class. Lehari clarified that the teacher Elena Barkhuizen was suspended by the school governing body (SGB) and that he only supported the SGB and had made the announcement public. Barkhuizen was suspended after a picture went viral in social media showing black children seated separately from white children in the Grade R class. Lehari appealed to parents to bring their children to school on Thursday. Superintendent-general of the department of education Stephina Semaswe said counselling had been arranged for all affected children. One parent said his seven-year-old boy was traumatised after he saw people jumping fences at the school last week as the controversy raged. “He thought SVK was attacking them at school,” the parent said. SVK is one of the notorious gangs in the North West, however police have said that SVK has been cleaned out and the ring leaders arrested.